Manhattan hedge fund that takes credit for forcing Wausau Paper Corp. (NYSE:WPP) to shut down one Wisconsin mill and sell two others now wants the company to move its headquarters out of Mosinee and possibly sell its entire operation outright. Starboard Value LP, which is Wausau Paper’s largest stockholder with 15.2 percent of shares, renewed a pattern Friday of an aggressive, public campaign to alter the papermaker that started along the banks of the Wisconsin River north of Wausau in 1899. In a scathing 10-page letter to the company’s board of directors, Starboard CEO Jeffrey Smith called Wausau Paper “deeply undervalued” and accused its executives of wasting millions of dollars in recent years trying to prop up parts of the business that were destined to fail. Hedge fund bears are circling the China market, with sceptical managers predicting that 2014 could be the year that will see a reckoning in the world’s second-biggest economy. A mainland stock rally at the end of 2013 has failed to sustain momentum early into the new year, dampening optimism that one of last year’s worst-performing equity markets could be on a path to recovery. Industry veteran George Soros is the latest to join the choir of China bears, which also include Carson Block of Muddy Waters Research, Kyle Bass of Hayman Capital and Jim Chanos of Kynikos Associates. Eric Mindich‘s Eton Park hedge fund posted 22.3 percent returns in 2013 thanks to its holdings in collateralized debt obligations, media company Twenty-First Century Fox Inc (NASDAQ:FOX), and residential mortgage-backed securities, it told investors, adding the fund has already exited some of last year’s winning positions. But there is plenty that Mindich likes for the start of 2014 as well, saying the fund owns some mid-to-large cap stocks where some catalyst should help push prices up. This includes Sothebys (NYSE:BID), where activist hedge fund managers are pressing for an overhaul of operations, and Marathon Petroleum Corp (NYSE:MPC) as well as aerospace supplier Spirit AeroSystems Holdings, Inc. (NYSE:SPR). The fund owns all three stocks. Billionaire hedge fund boss Tom Sandell has revealed a small stake in beleaguered supermarket Morrisons, the latest activist investor to pursue an investment in the struggling chain. Sandell, who runs Sandell Asset Management, owns a tiny proportion of the firm’s shares, thought to be well below the three per cent threshold required for public disclosure. People close to the situation yesterday said that Sandell was focused primarily on forcing through changes at another of his investments FirstGroup, instead of pursuing change at Morrison’s. The first question I thought of when I read that San Francisco hedge fund Coatue Management was the backer behind Snapchat’s $50 million round of funding was which VC firm lost the deal. My second question was why take money from a hedge fund? Coatue isn’t the first “cross-over” fund (an investment fund that crosses over to the private from the public markets) to emerge in technology investing. Integral Capital Partners, co-founded by Roger McNamee and John Powell, was one of the first to start doing this in the nineties. 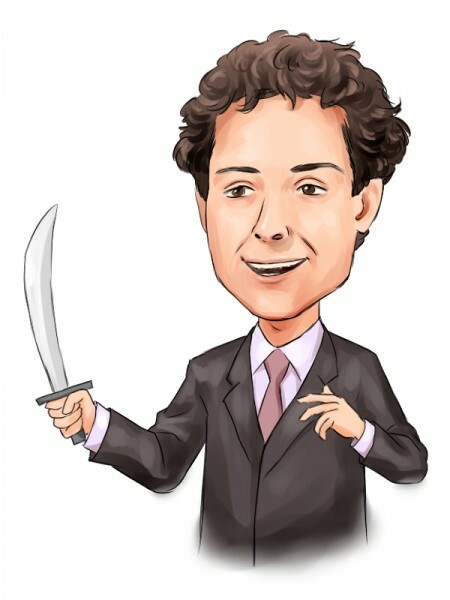 Hedge fund Tiger Global has been doing it more recently, with a venture arm that has backed Warby Parker, Nextdoor, Redfin, Eventbrite and Pure Storage, among many others. Lansdowne Partners LLP, the biggest European hedge-fund firm that focuses on stock picking, bought Twitter Inc (NYSE:TWTR) shares in the fourth quarter while selling its holdings in UBS AG (US listing) (NYSE:UBS) and Ryanair Holdings plc (ADR) (NASDAQ:RYAAY). The firm sees an “immense” opportunity for the microblogging service “and discussions with potential advertisers give us decent comfort that more of it will materialize than the market expects,” according to a letter to investors obtained by Bloomberg News. A spokesman for the London-based firm, which manages $17.5 billion, declined to comment.